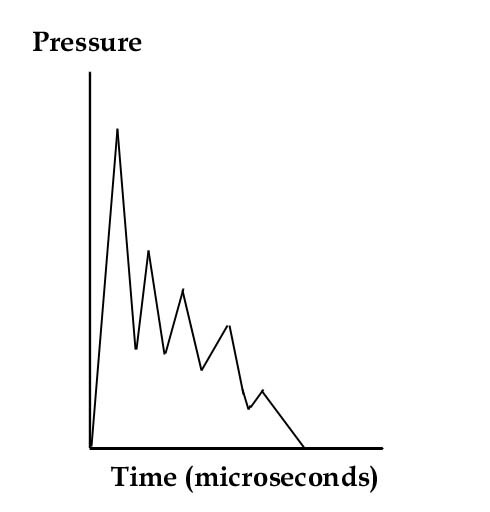 In theory, what happens in the firing chamber (the cylinder) of an internal combustion engine is that a certain amount of petrol or diesel will mix with a much larger amount of air (around 1:15), a spark will then be injected exactly into the middle of this homogenous mixture and the resulting explosion will push the piston down to the bottom of the cylinder. Because both the air and the fuel are in a condition of relative chaos, they don't really mix but, much more, tend to hit and bounce off each other. This is why motor manufacturers have to turn the fuel flow up to 25% higher than it, in theory, need be, otherwise there would be no usable explosion at all! On top of this, the spark goes every which way and just every now and then correctly because the electrical system is also in a state of relative chaos. 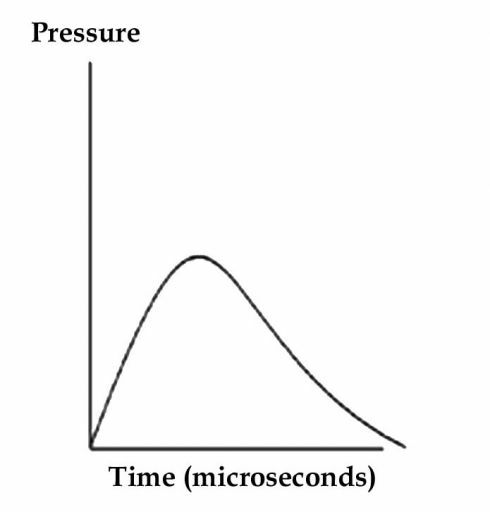 There is an initial massive over pressure which the engine cannot use because it is both too intense and too short-lived. This causes most engine noise, wear and unusable heat. The pressure then rapidly tails off and, before the piston has been moved more than 30% of the way through the cylinder, there is no longer any useful pressure there. This is why your engine has such a massive fly wheel. The over-rich mixture further results in an incomplete burn and large quantities of polluting exhaust gasses. It may well be that a "chipped" vehicle no longer needs such a massive flywheel as the usable pressure is sufficient to push the piston virtually all through to the bottom of the cylinder. The overpressure (and, consequently, a lot of the noise, wear and heat) disappears, there is much more power available as the burn process is much more complete and unnecessary exhaust gases are greatly reduced.